We had a great luck that we could travel with “Little Bhutan”. 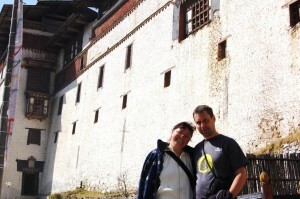 Sonam and Yonten are the best team and traveling around Bhutan with them was a real pleasure. They are an excellent ambassador for their Country and the company. They showed us the country to us in its full glory. Bhutan is a land of really happy people, beautiful countryside and interesting culture. Thank you for a wonderful experience!